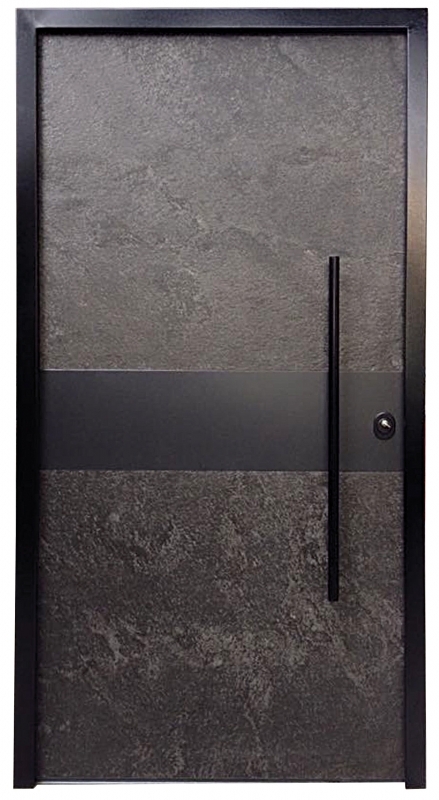 We present the new series TEKNA, a completely innovative product with a significant flexibility in combining different materials such as stainless steel (inox), securit glass, mirror, rare natural wood and ecological lacquer. 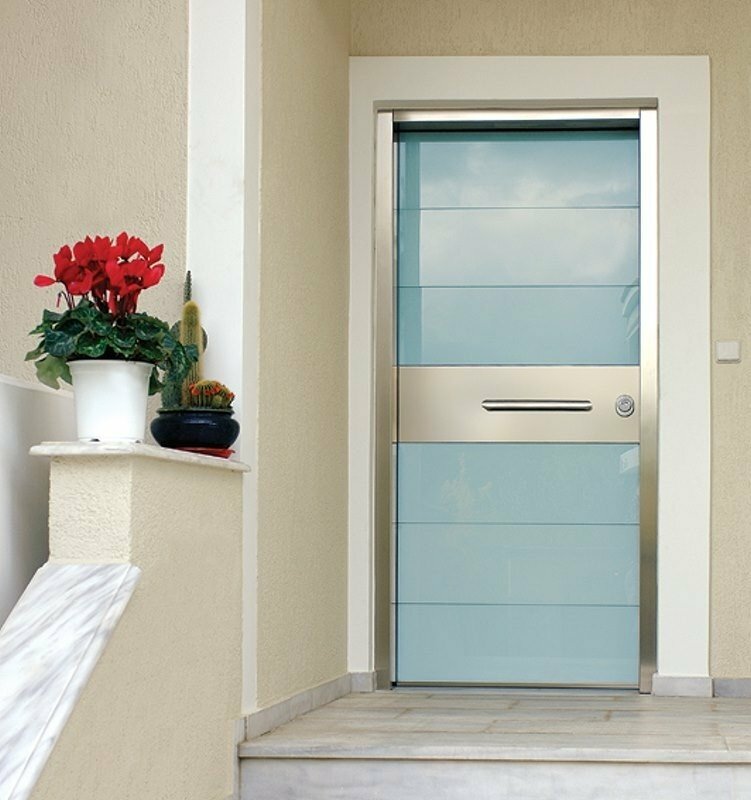 Let your imagination create, choosing the style that best fits to your own place. 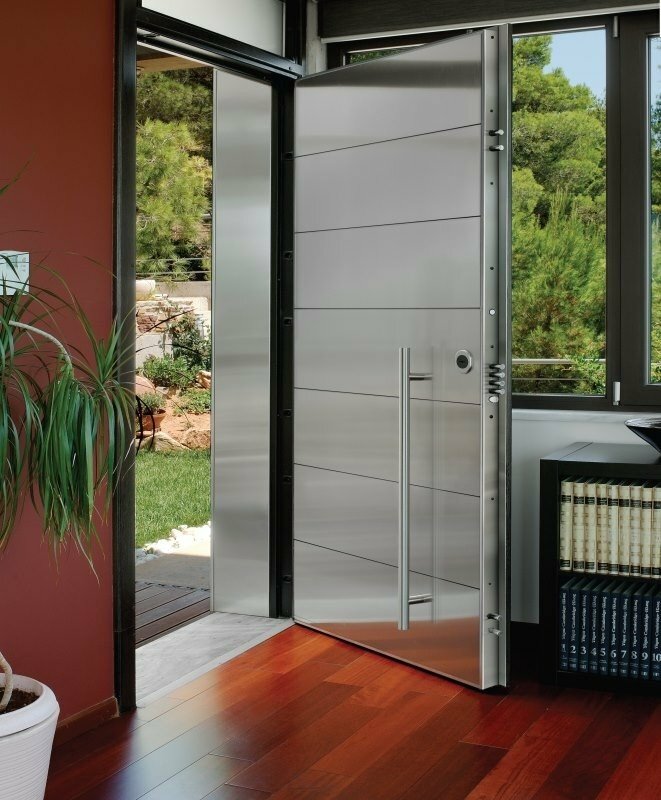 Besides, behind every door there is your own special interior world. 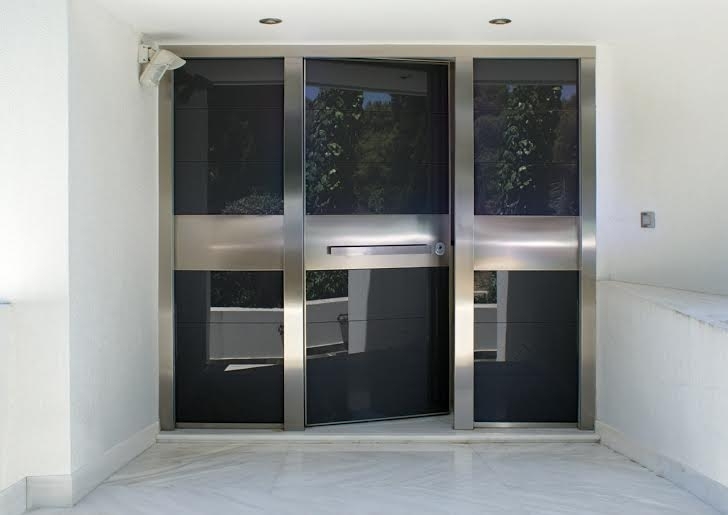 Every TEKNA door consists of minimum 7 individual parts on each side, which can create among them un-numerous combinations, based on a manufacture system that offers maximum flexibility! 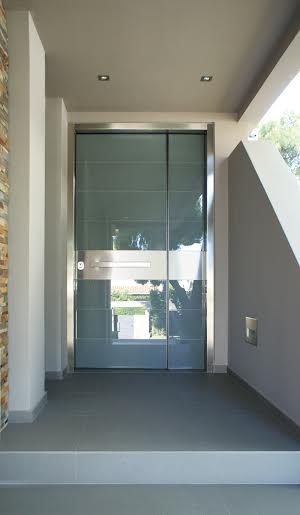 Materials such as securit glass, aluminium and stainless steel, offer us the ability to use them for the construction of entrance doors, exposed to the exterior environmental conditions. 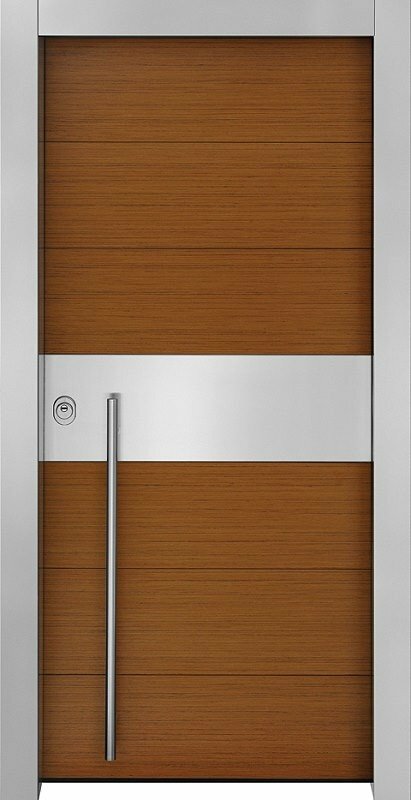 Finally TEKNA series has the ability to be constructed on a conventional door with hinges or on a pivot door with for large continuous openings up to 2m width.